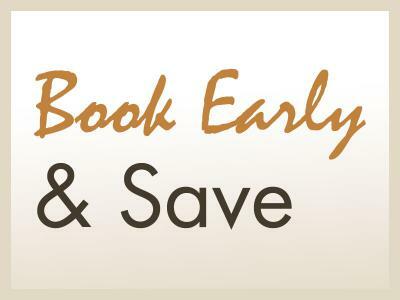 Save an extra 10% off our Best Flexible Room Only Rate when you book at least 5 days in advance. Add breakfast and dinner to your rate in the next booking step. Free Wi-Fi. Free parking. Non-refundable. Non-transferable.